The new Aquabeam Viking LED light delivers enhanced performance over halogen lights, providing an excellent light output and extended product life. The Viking LED light replaces the popular Aquabeam Viking and Divex V2000 lights, producing a similar light output to a 600W halogen light. Although the LED version has a new look and enhanced performance, it still remains as robust and reliable as ever. 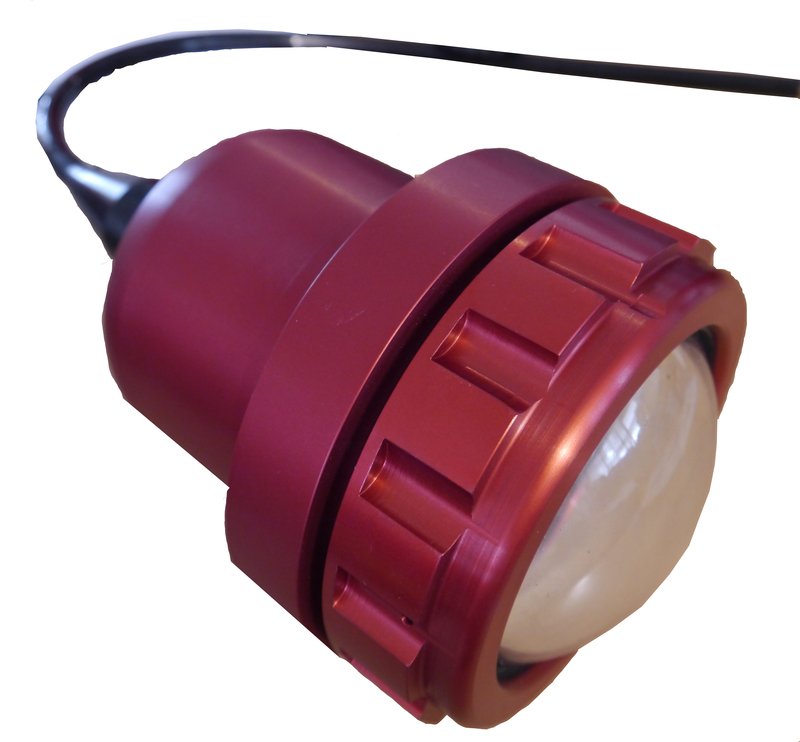 The Aquabeam Viking LED light is equipped with a thermal switch which reduces the light output by approximately 40% when the internal temperature reaches its maximum operating temperature and resets when the temperature drops to a safe working level. This allows the light to be used out of the water for testing and maintenance without damaging any of the internal components. All penetrator cable lengths and connector types available on the Viking standard lights, are also available on the Viking LED light.